If you’ve got a website and you’re underway in your marketing journey, then you’ll probably have read the plethora of contradictory SEO articles and advice-givers out there issuing all sorts of dire warning re a slow loading site. 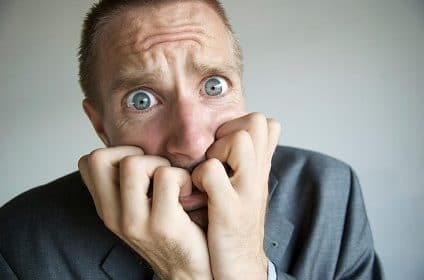 The worst warnings coming from the purveyors of web services who want to help you – all for a three or four figure sum, which you’ll make back on increased conversions now that visitors aren’t clicking away from your site. While there’s research that supports that’s it’s true, that a faster loading site will aid in conversions, it should be remembered that conversions and SERP site rank are two different things. That is, the speed at which your page loads and potential customers punish you for it by leaving, and the speed at which Google punishes you for it by dropping your position in search results, are two completely different things. 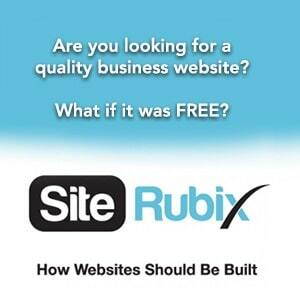 Ideally you want you both to be maximised, and thus the speed that your sites loads to be as fast as possible. So you go to Google Pagespeed Insights to see what can be done to improve your site’s performance – and then get all bent out of shape when you see your low score and the reams of improvements. Most of which you’ll have no idea about what’s being referred to, never mind how to fix. Here’s what, though: Google Pagespeed Insights doesn’t actually measure your site’s loading time. Nowhere on the list of results do you get a figure for how many seconds it took for your page to load. Because that’s not what Pagespeed Insights is analysing, and doesn’t because it’s a variable figure and may be inaccurate based on where your web host’s server is located, as opposed to where you’re located. What Pagespeed Insights does is look for common lag factors on pages, and reports on them. It simply looks for a pre-programmed set of issues and then lists them if it finds them. There’s no context applied or analysis in how your website hangs together, it just looks for what it’s been programmed for. That means if you don’t have a background in web development, and know how to interpret the results, you can think you’ve got a snail of a site with a terrible score. That means there’s already little you can do to improve your score if you’re running a fully-featured beautiful site rendered from your carefully selected Envato purchase, which to be fully-featured means it’s code-bloated, and stuffed full of the sort of ‘violations’ Pagespeed Insights loves to report on. The page builder themes are the same. Add some choice plugins and you get even more bloating. And as an aside – plugins aren’t necessarily a bad thing. Keeping them to a minimum is good advice, but they are necessary for many website needs and functions. It depends on the plugin, what it does, and the quality of it, as to whether it slows down your website. What’s most likely to slow down your website are the use of uncompressed images and images that are too big and being scaled in CSS. This bit of what Pagespeed Insights reports should very definitely be taken notice of. You can save a great deal of load time if you just address this issue alone on your web pages. That said, even if you’re using a good image compressor plugin (Ewww/Imagify) Pagespeed may not recognise that an image has already been compressed, and it won’t take account of what level of compression it’s suggesting, either. Suggesting saving a further 50k on compressing or re-scaling a picture is helpful. Suggesting saving 50B – bytes – not so much, as the figure is insignificant and not worth expending any time on. Pagespeed Insights is just following its programming, it’s not performing any real ‘analysis’ in that sense, or it wouldn’t list these insignificant file savings. It does so because if there’s enough of them it may amount to something you need to address, and it’s listed for you to make your call as a developer on it i.e. you know what you’re looking at. And you know that the grade your website gets, isn’t actually used by Google in its ranking algorithm, so it’s okay if you leave some things unaddressed. Again, let that sink in: your Pagespeed Insights score is not a ranking factor, even if page speed is. There is a difference, but the name of the tool itself leads to confusion, and not helped that it comes with Google’s stamp on it. Not that you’ll be able to easily fix this without the addition of another plugin. These elements are most usually addressed within caching plugins. If you’re using a server side caching service then you won’t need to enable the caching options as that will most probably conflict with your existing service and makes things slower, the opposite of what you want. Some server side caching systems claim to address these elements too, so check. If these issues still appear in Pagespeed Insights then an optimisation plugin of some flavour is probably the only way you’re going to get rid of these entries. If it’s worth it and if you know what you’re doing. Some need a sound technical knowledge to implement, they’re not just plug and play by any stretch, and you can’t just ‘play around’ as you’re liable to create all sorts of problems with your theme’s configuration. Others will claim to be a simple install and fix – but when you recheck Pagespeed Insights you’ll see no change. But the impact had to be more than negligible as the reality is, that for the regular WordPress using blogger, with a free thin-theme installed and a couple of plugins, then compressing and re-scaling images will gone a lot further to producing a faster loading website than addressing these (non) issues. There’s some stuff you just can’t fix, too. If you’re hooked-up to Facebook or Google Analytics, then entries for the elements of your website communicating with these third party sites will be listed in Pagespeed’s Leverage Browsing Caching section. And there’s absolutely nothing you can do to fix or remove that from your list of suggested optimisations because it’s all on Facebook and Google to start adhering to the best practices they advise, and fix that at their end. Not all CSS files can be combined because if the media attribute is present, or if there is an inline CSS code between two CSS files, then best practice is that they should not be combined. Pagespeed Insights won’t recognise that though, and list this as a problem in Optimise CSS Delivery. Sometimes it’s more efficient to have two CSS files and load them in parallel, that the site is designed that way because it’s a better solution, but again Pagespeed isn’t clever enough to know that – so says you have to do something about it. If you’re just a casual WordPress user, focused more on content than the mechanics of the technology you’re using, then you’re not going to know that. And what’s reported in Pagespeed can be unnecessarily worrying. I’ve not seen a hard figure given yet for when a website is so slow to load, that it impacts its Google ranking. Is it fifteen, twenty, or more seconds? And does it have to consistently be measured at that speed? And is that time to fully load or before first rendering to the user, with background loading. Things tend to get overblown with Google in my opinion. It’s like Google is the mythical strict schoolteacher who’s reputation precedes it, but it’s bark – as vouched for by third parties – is worse than its bite. 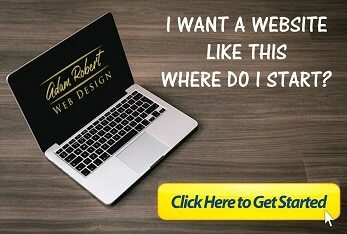 If you’ve got a site that takes twenty seconds or more to load, that users are just sitting looking at a swirling loading gif and a blank page, then yes, you’re probably going to get penalised for that by both Google in terms of site rank, and your users who will just click away and shut the browser or tab off. If you’re site takes four or five seconds to load, even a little more, then no, you’re not going to get hammered by Google for that. But your sales/conversions might well be. Bottom line is, you want your page to load as fast as possible because it’s just a good user experience, but there comes a point of diminishing returns of investing too much time and money in trying to get the perfect Pagespeed Insights score, which may be all for shaving an imperceptible further 0.1secs off the load time of your site. So consider the human element, not the computer component, and if it’s really worth it. If you’re interested in page speed and SEO re your blog because you’re interested in monetising it, or making money via blogging, then check out Wealthy Affiliate. 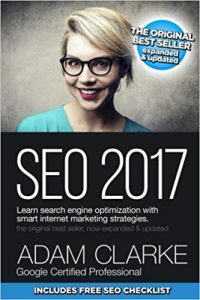 There’s a wealth (no pun intended) of information re these topics on the site, and expert training given in tuning your blog for Google ranking, conversions and SEO. New training is rolled out weekly in all aspects of affiliate marketing, plus a community of marketers of all levels of expertise to engage with and advise in open forum. You can read my review here. There’s no credit card required to join, you get a free period of a week to check the place out, and then your membership simply reverts to the free level. Have a look, see if it suits you and your temperament like it did me.